Hello my furry friend, welcome to Doggie Affair! We provide quality dog walking and dog sitting services to the downtown Denver area. Use the navigation links at the bottom of the page to get around, and if you like jump straight to my walking services and pricing info by clicking here. Or here for my sitting pricing info. Is your owner away at work and you need to be let out? Tell them to contact me @ Doggie Affair to tend to your needs. I have been working with dogs for years and will not only take you to your favorite local park, but am also certified in canine behavior and CPR so you know you’re in good hands. And to put your owner at ease Doggie Affair is also fully bonded and insured. Your owner can learn more about me and my dog walking experience in the about me section. A special thanks to your Denver owner for trusting Doggie Affair with their precious furry friend! 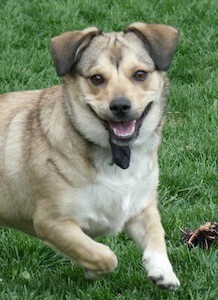 "Nicole is very gentle and sweet with all dogs. I would definitely recommend her services for my Denver clients." Please put the name of your dog and brief summary in the Purpose/Comments box when you pay.